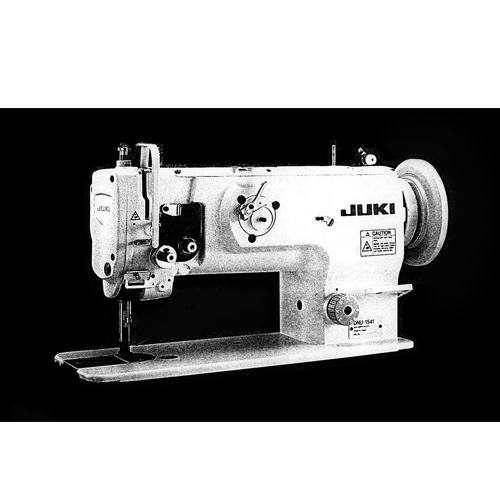 Single Needle Lockstitch, Unison Feed Machine with New Safety Clutch Mechanism. Stitch length up to 8mm, adjustable. Extra high foot lifts up to 16mm. Large double capacity bobbin. Horizontal axis hook makes it possible to change bobbin without removing work. Automatic hook lubrication. Easy to operate.